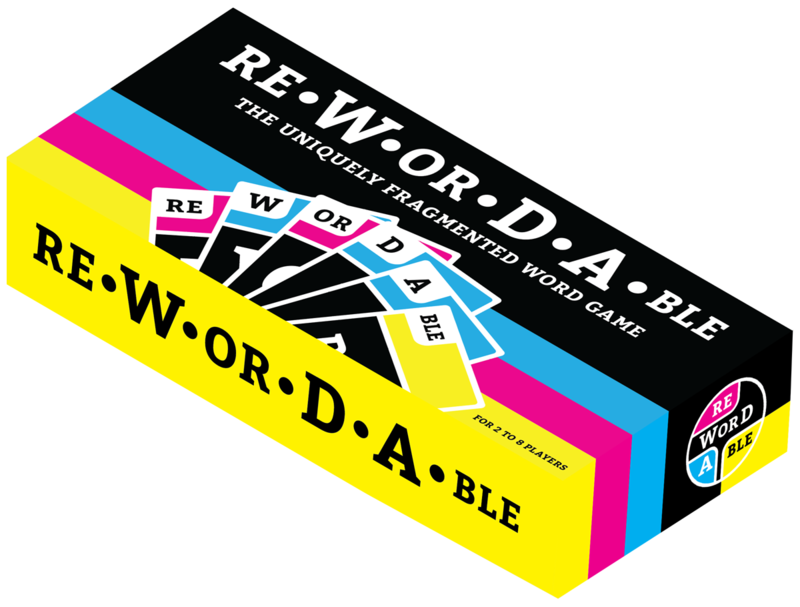 Rewordable is a card game played with a deck of commonly occurring letter combinations in the English language. Players arrange these cards to form words of increasing length and complexity, drawing from their own hand or by stealing cards from other players, building onto already constructed words. See rules. Rewordable is now for sale! For more retail options, go here. We'd love to hear from you. Reach out on social media or send us a note. Sign up for our mailing list to keep updated on Rewordable. Rewordable was developed and designed by Allison Parrish, Adam Simon, and Tim Szetela. Rewordable is © by its creators. All rights reserved.